These handcrafted fused glass coasters will make a beautiful addition to an orange or yellow décor and will also protect your furniture. 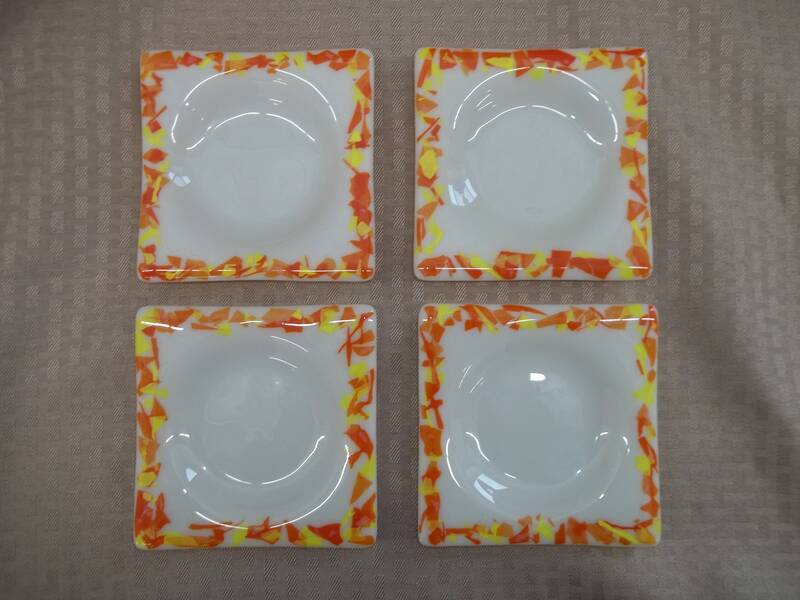 Crafted with cream colored opaque glass, this set of four coasters is accented with orange and yellow around the edges. Each one is recessed for your cup and it makes it easier to stack them. The measurement of each coaster is 5" x 5". Rubber feet have been attached to protect your furniture, to keep them from sliding and make them easily stackable.